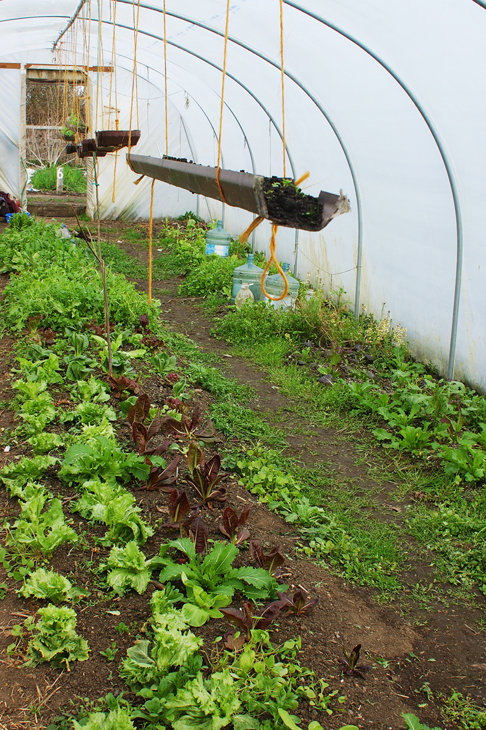 Abundant Earth is a Community Supported Agricultural Scheme in Broompark, County Durham. 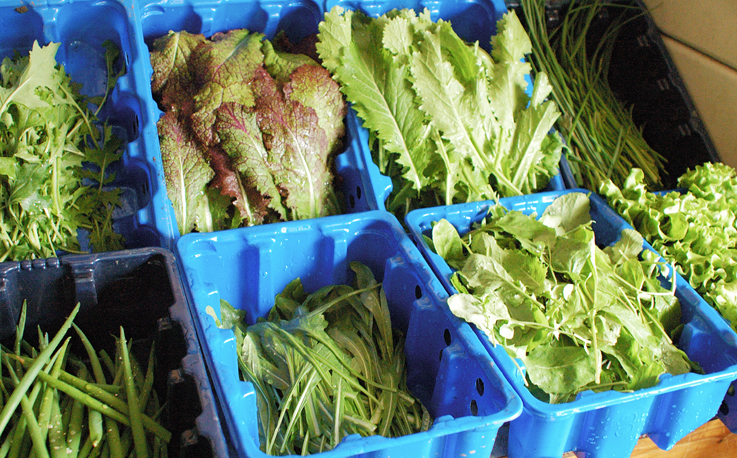 They supply seasonal organic vegetables through a vegetable box scheme to the local area. It is run as a workers co-operative and supported by the Soil Association. They have recently started providing eggs from their red hens. Although they do not live on site their use of land is a useful example in land-based living and in generating a sustainable income in an organic environmentally-sensitive way. They are careful to only promise to provide seasonal food and never supply produce from outside of the country (unlike some other organic vegetable box schemes). 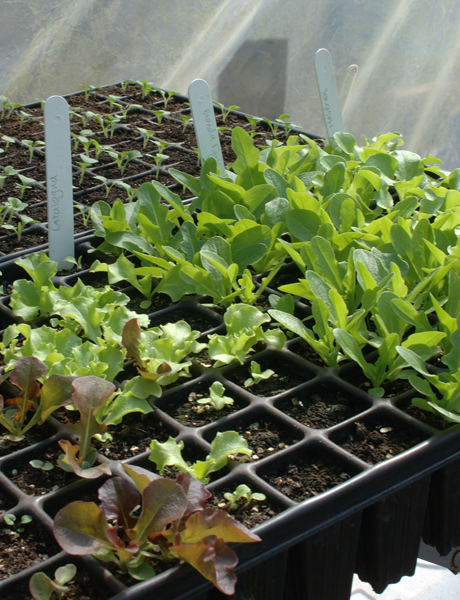 The rich variety of their produce and the beautiful layout of their gardens and polytunnels make it an inspiring place to be. 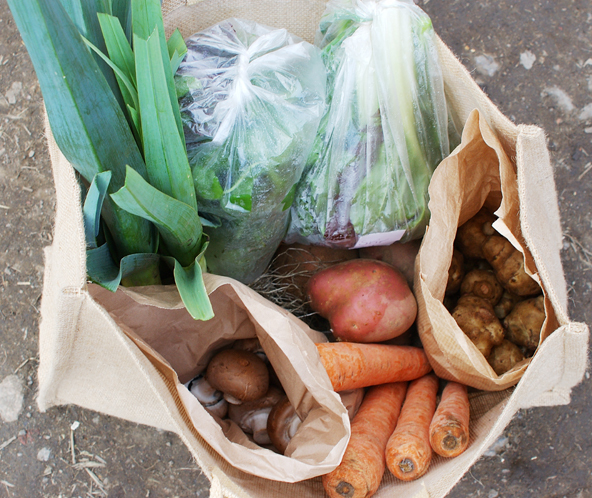 I spent a few days helping on site – planting onions, picking leeks and helping deliver the vegetable bags. They are always on the look out for short and long-term volunteers and WWOOFers (World Wide Opportunities on Organic Farms). If you are local and interested in ordering a bag or volunteering contact Beth or Jo on abundantearth.durham@googlemail.com.